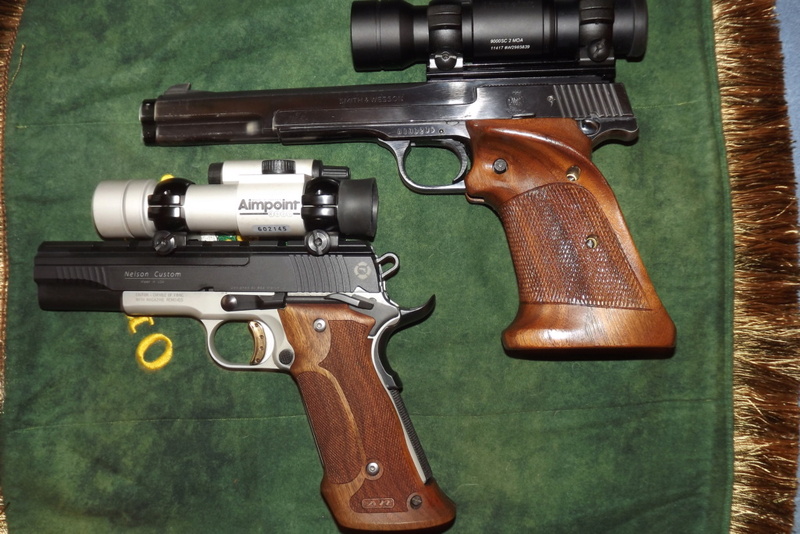 S&W Model 41 Optic mounting Options? I have a 41 I use for 22 EIC matches but I was just wondering what some optic mooning options are. I’ve seen the Clark barrel. I’m not crazy about it. I’d like to mount a dot further back. I was thinking of a normal barrel pre drilled for a scope base. I looked for a second barrel and most places were listed as out of stock. And the bullseye gear website had them once I thought. If you have a 41 with an optic, please share how you mounted it. I’m doing some research. 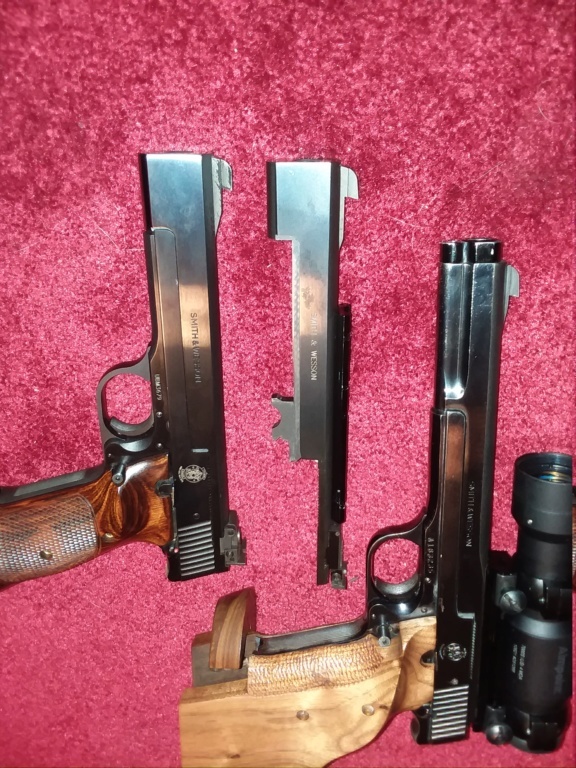 Re: S&W Model 41 Optic mounting Options? Mine came pre-drilled for a standard mount. If you go here, you can see where the holes are drilled on the newer Model 41's; https://www.smith-wesson.com/firearms/model-41 It's the bottom photo. I have an older non factory tapped barrel and I drilled and tapped it to fit a K frame mount. They have the same contour. I was able to mount it way back. Where can I find a second short barrel and how much might I have to spend to get one thats got holes all ready in it? Check out E-bay there are often barrels there. I don't know that it is any riskier to purchase that way but it is an option. I picked up a great barrel on E-bay to replace the one I rubbed some bluing off of. Hmm, now what am I going to do with the extra one? Use two mounts, but only on the front of the scope. They are not cheap but they have them.